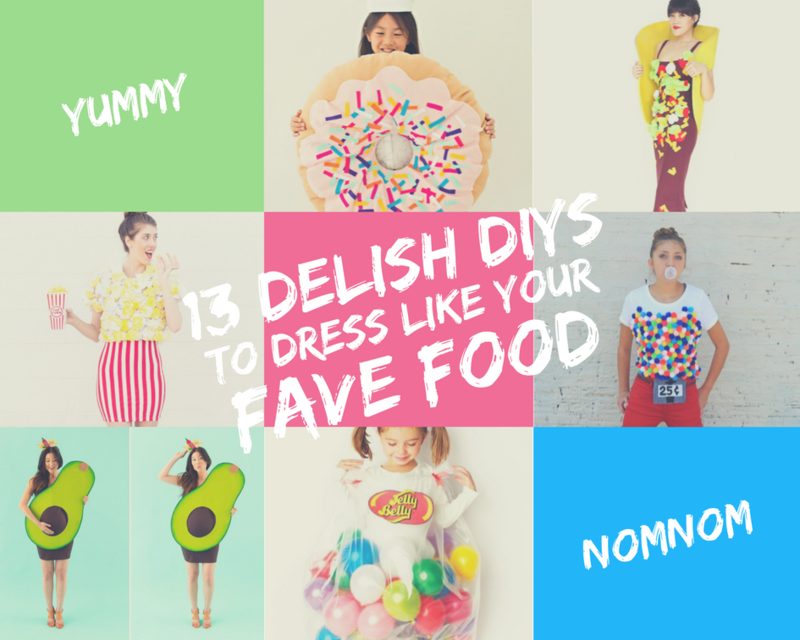 Home / All Posts / 13 Delish DIYs to Dress like your Favorite Food for Halloween! 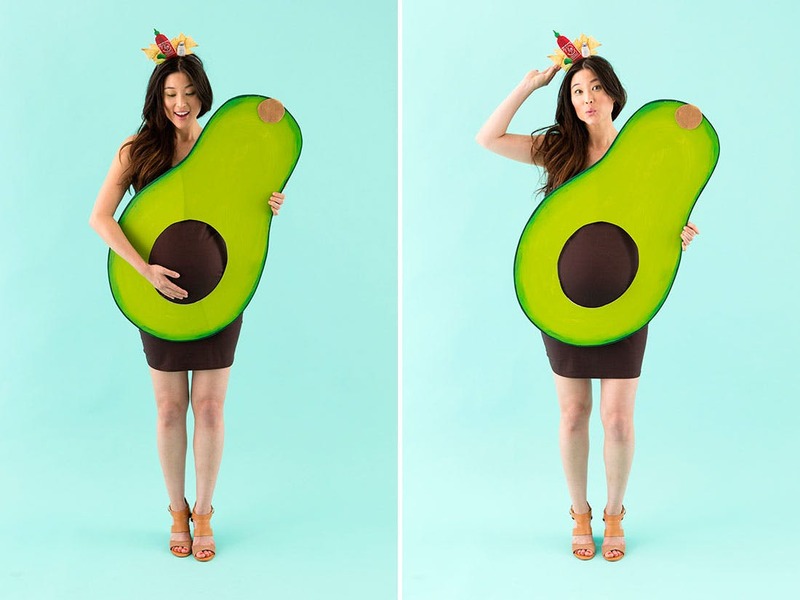 13 Delish DIYs to Dress like your Favorite Food for Halloween! Oh-Em-Gee! Halloween is less than 2 weeks away!!! Where did October go???? We had all of these grand plans for sweets and crafts and costumes…You too? Don’t scream yet, you still have time to cram almost all of it in. 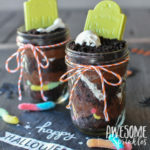 Make the most of your time by checking out some of our Awesome Halloween Tricks and Treats for lots of fun sweets and crafts for the holiday. 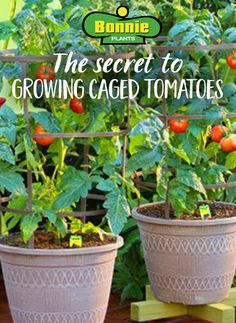 They’re guaranteed to add some instant fright with minimal effort. That just leaves costumes. 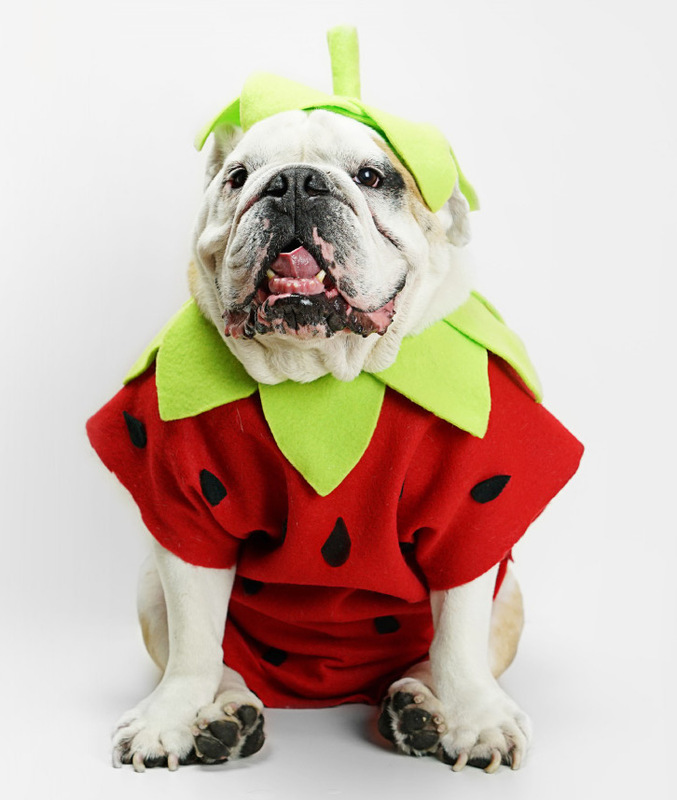 We did some sleuthing on Pinterest and kept coming back to all of these adorable food costumes! 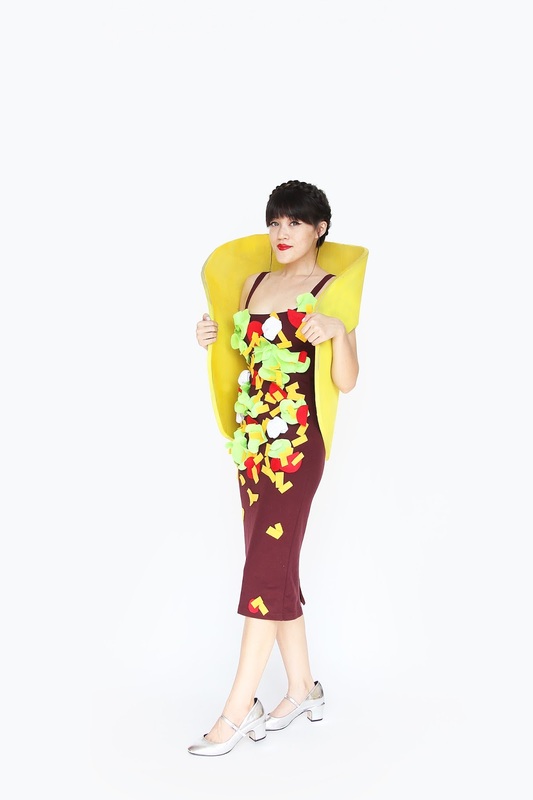 Wear your favorite food this Halloween! 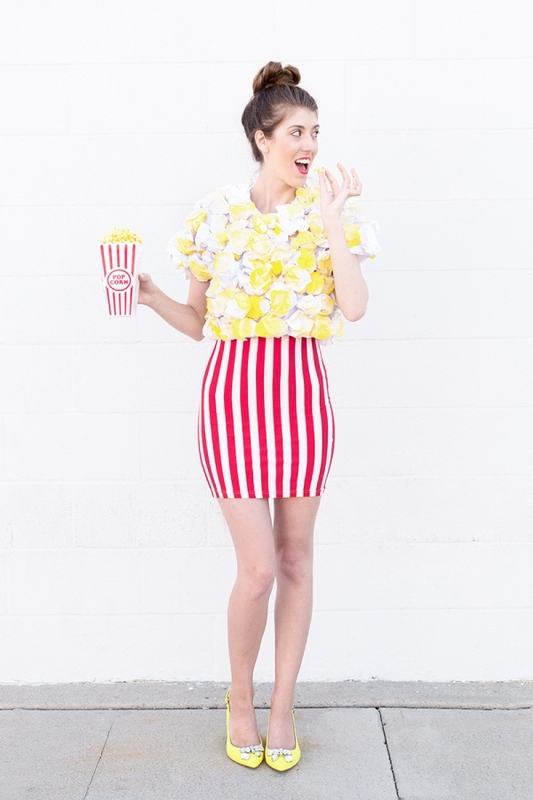 Can’t have Netflix and Chill without the popcorn! Plus, you can carry around a snack all night judgement free!!! I can’t even with this fluffy skirt and turquoise shoes! Another costume where it’s perfectly ok to carry around a snack. Are you noticing a theme here? This is the perfect way to reuse that blush colored bridesmaid dress you said you’d “totally wear again.” If you don’t have a fluffy peach dress hanging in your closet, it’s easy to make your own tutu skirt. Tip: Cotton Candy goes great in champagne! Who didn’t love these as a kid? The flavors. The colors. Analyzing the flavor key for Bubblegum only to get Peppermint. A bag and some balloons and you’re done. 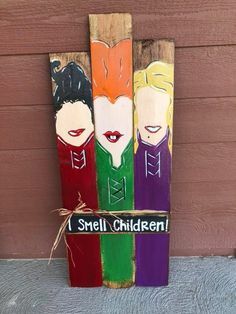 Harry Potter fan? Take this one a step further – Bertie Bott’s Every Flavor Beans! Everyone’s favorite coffee beverage! 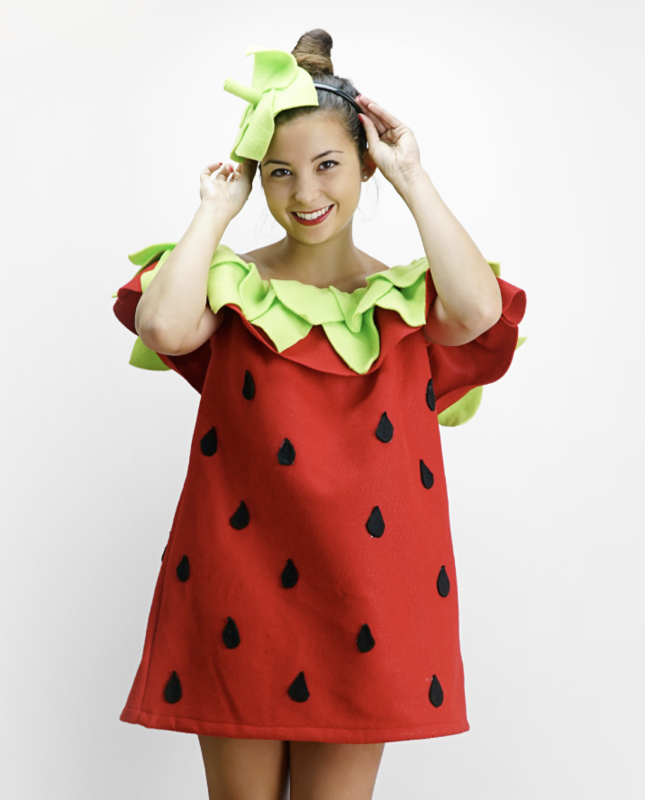 This costume is flirty and fun. Grab a dress from a second hand shop, or if you’re adept with a sewing machine, a simple pattern and some coffee colored fabric and you’re on your way. 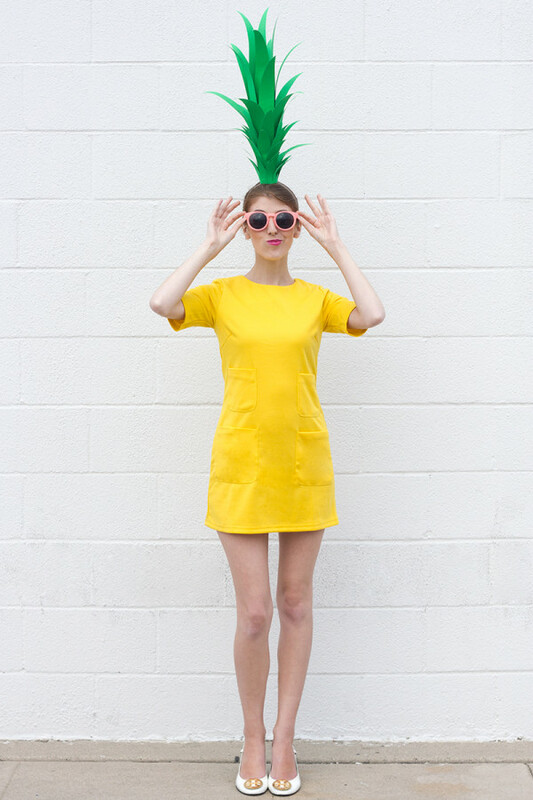 We are in love with all things pineapple right now and that includes this adorable costume. Cute dress with an easy to make topper! 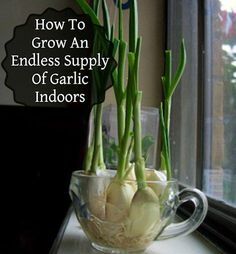 Can’t get much easier than that. 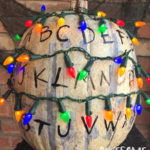 You probably have everything you need for this nostalgic costume in your closet, and if you don’t, you can wear most of it again. 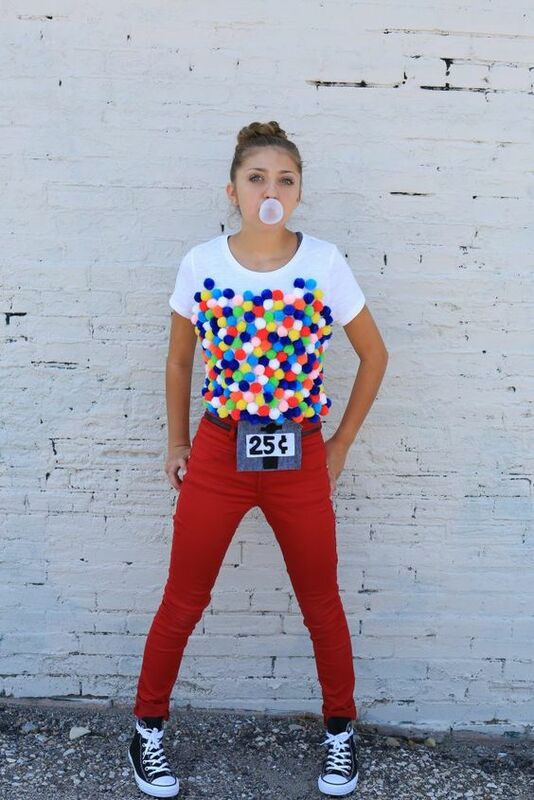 Grab an inexpensive white t-shirt, some pom-poms, and load up your hot glue gun. It should be no surprise that a cupcake makes our list. I mean, if we could be any dessert, we’d be a cupcake! 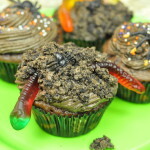 And no cupcake is complete without sprinkles!!! Donut worry! Be happy! 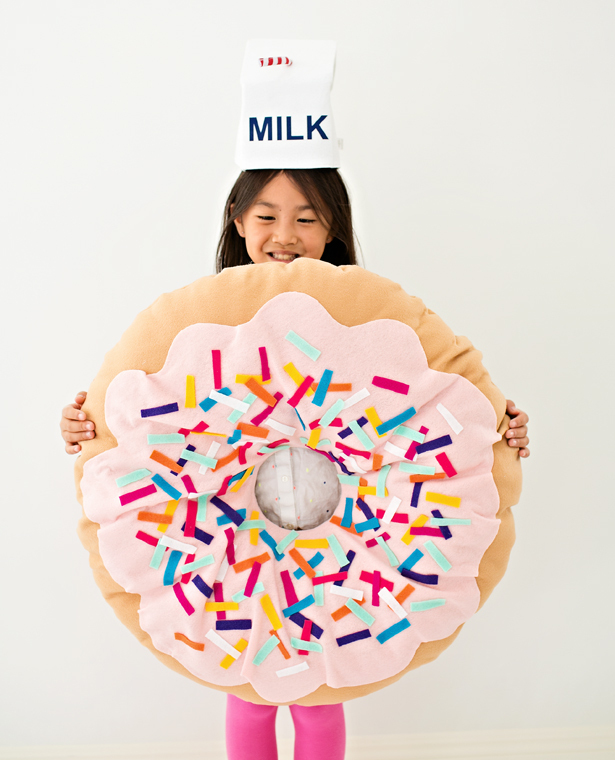 The milk hat makes this NO-SEW donut costume! 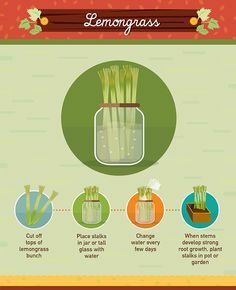 Start saving those empty toilet paper and paper towel rolls. 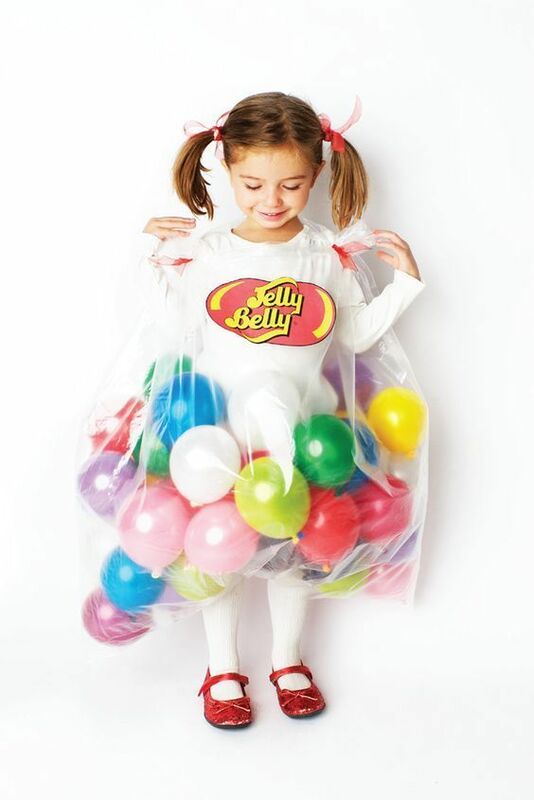 A few dozen of those and a round laundry basket are the base for this instantly recognizable costume. 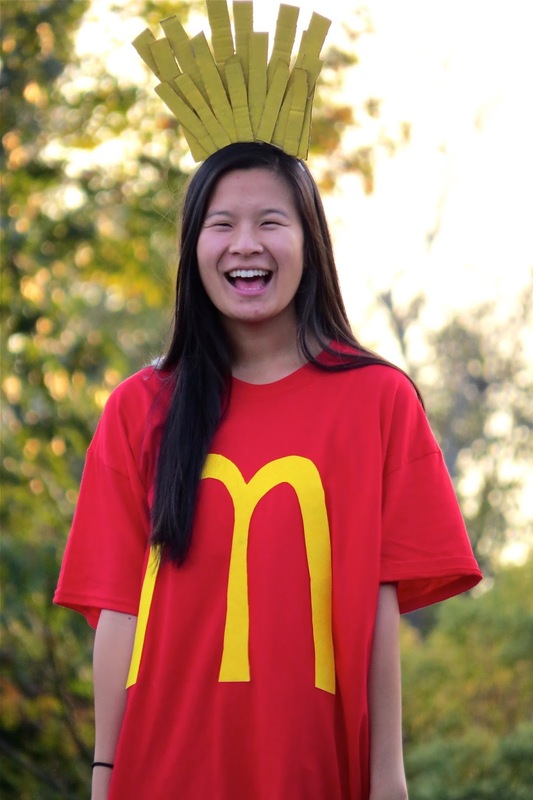 Mickey D’s fries are a cult obsession! We don’t blame you if they’re your guilty pleasure too. Scrap cardboard. Red t-shirt. Yellow fabric paint. Pants optional. Costume done. 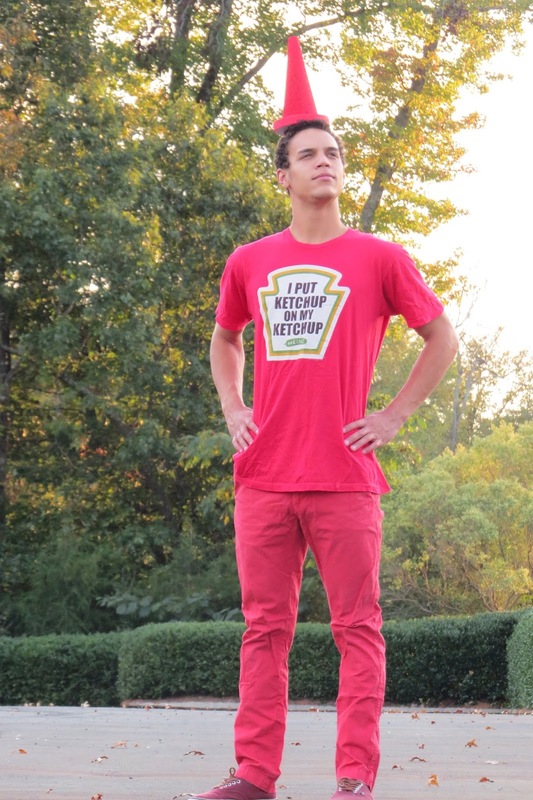 No fry is complete without some Ketchup! 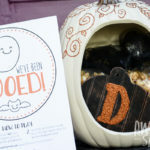 Expectant moms, don’t hide your “bump” on Halloween – feature it! 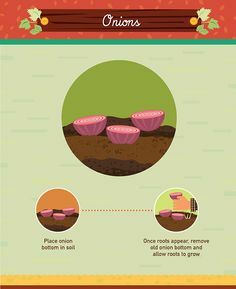 It makes the perfect avo pit! If you’re not pregnant and you want to channel your inner avocado, get a half-sphere of floral foam and glue it to the foam-core board. 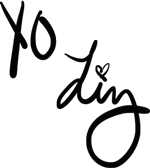 This one’s for you Jenni! 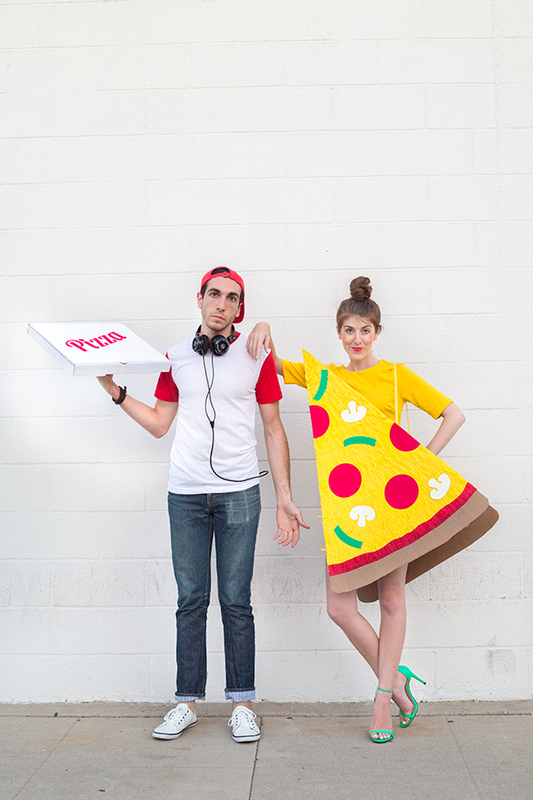 Studio DIY is back at it again with this totes adorbs pizza costume. * Plus it’s Jenni’s favorite food, so how could we not?! These girls KILL it with the costumes. We’re taking notes! Not feeling these? 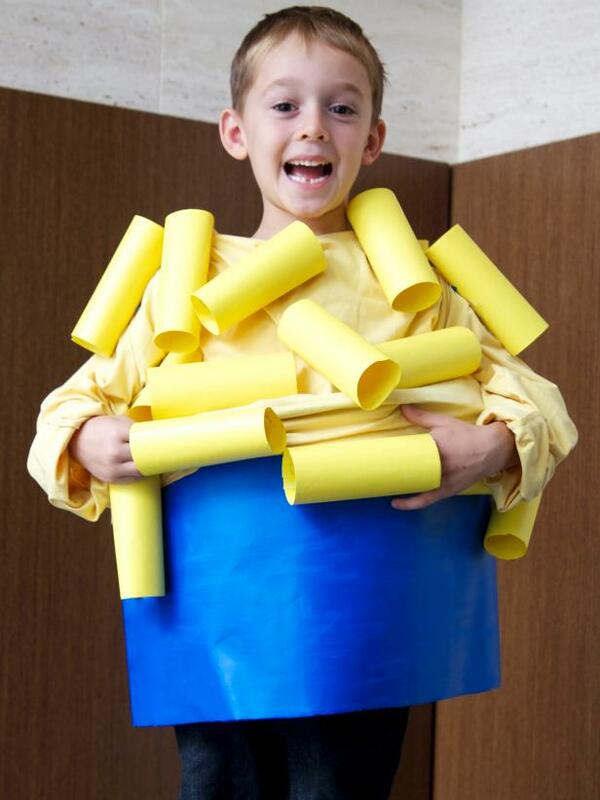 We’ve saved ALL of our favorite DIY costumes on Pinterest – and not just food ones! 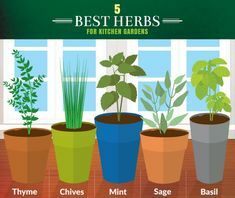 We did the research for you. 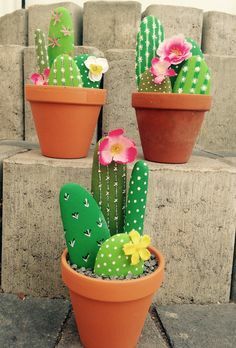 The hard part is choosing just one! 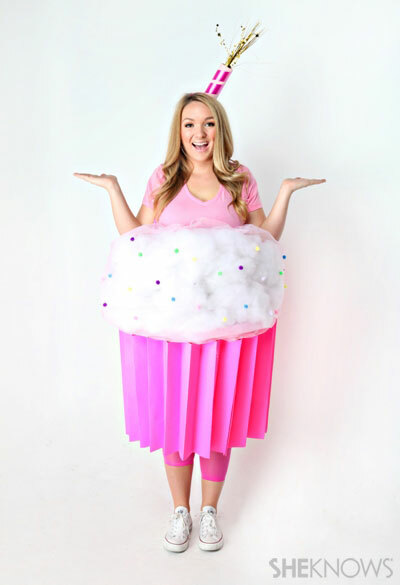 Tag us in your costume photos @awesomewithsprinkles!